LOS ANGELES, CA – Authorities have discovered an underground fight club operation in a Los Angeles area theater school this week, where orchestrated fights have been secretly ongoing for several weeks. The club included some nine students recruited from the student body who participated in violent melee combat. The operation was discovered by maintenance staff when attempting to repair an elevator which had been used to access a lower stage area closed off from the rest of the school. Various weapons such as swords, knives, and even bows were found to have been fashioned from old stage props. The discovery has shocked parents and faculty. Theater club advisory Corrine Greene, a teacher at the academy, claims she had no idea this operation was happening. “I thought we were just going to perform The Addams Family this year, just like every other high school in the country,” Greene told Anime Maru. According to investigating sources, the organizer of the event goes under the name “Giraffe”, and he would prey upon female students using cell phone calls to recruit them for his illegal combat ring. The students were instructed to keep the fight club strictly confidential and avoid making any mention of the fights in public. While in custody, Giraffe refused to give investigators any information other than repeating, “I understand”. Participants in the fights all seemed to reference “starlight” in investigation interviews, which authorities believe to be a slang term for crystal meth. Participants who won enough fights were promised a spot as a “top star” which some believe to be a street term for gaining exclusive control of drug trafficking operations within the neighborhood. Fights were often extremely dangerous due to lack of formal rules or structure. Despite the risks, many of those participating in the fights admitted to the combat sessions allowing them to develop newfound respect for their peers. 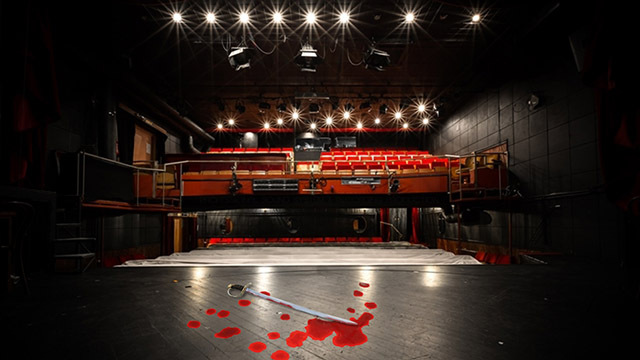 Crime within the performance arts has seen an uptick as criminals have begun to find ways to profit off the artistic industry. Authorities estimate that such cases will only increase if not dealt with. Another related case linking crime and music performances occurred last month when several Yakuza members were found to have been masquerading as an idol group. Ho, you don’t stab her, you call the Rainmaker aight?